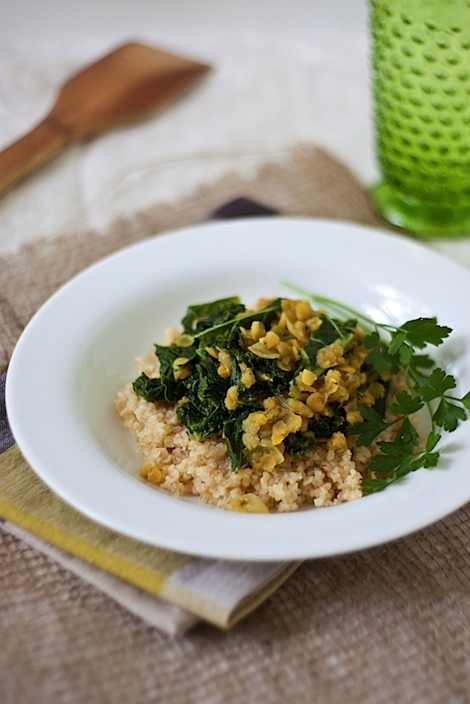 …serve over your favorite grain – cous cous is the fastest and easiest, though rice in the rice cooker takes the least effort. 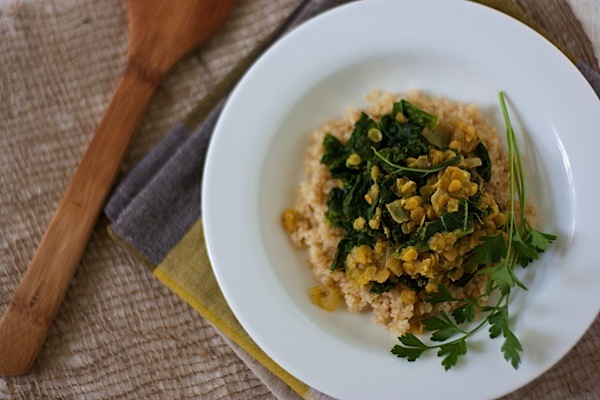 This meatless meal whips up in a jiffy with mostly pantry ingredients. Unlike some vegetarian meals that open large packages of tofu or tempeh, you can easily portion out just enough lentils for you from your pantry. I used red lentils for the fast cooking time, but feel free to sub in whichever type you prefer – just adjust the cooking time, as needed. Serve over your favorite grain (or leftover! ), though I suggest couscous or rice. Pre-heat olive oil in a large saute pan over medium heat. Add onion and cook until translucent, about 3-5 minutes. Add lentils and broth and bring to a boil. 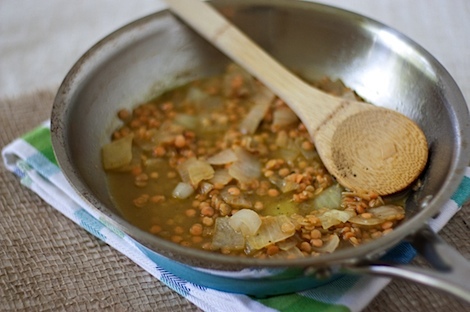 Reduce heat to simmer and cook until lentils are tender, about 20 minutes, stirring occasionally. Add additional broth over the cooking time, as needed (somewhat similar to cooking risotto). Ensure the pan isn’t too dry (add extra broth if needed so lentils don’t stick to pan, to just cover) and add kale leaves and cover pan). 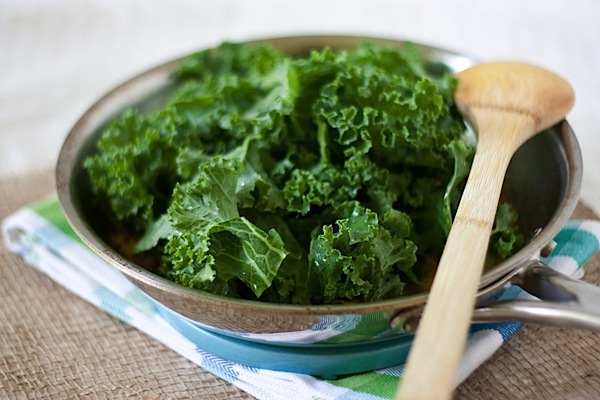 Steam kale for 2 minutes, then remove lid and stir kale into lentils to continue cooking for 3 minutes. Add broth, if needed. Sauce should not be too liquidy, but lentils shouldn’t be too dry – just adjust to your preference. Add additional salt, pepper to taste. 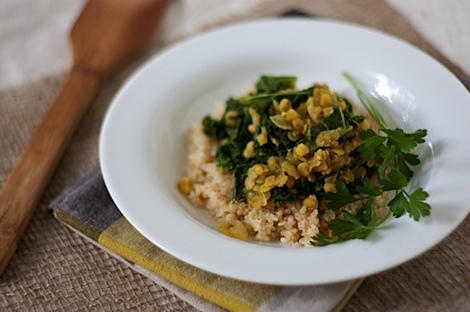 Serve over couscous or grain of choice and garnish with fresh parsley. Do you participate in Meatless Monday? Why or why not? I like your quick and easy dinner idea! Yay! Thanks Sue! 🙂 I need to make more of the quick and easy ones!